The Propane People service residential customers throughout the Phoenix metropolitan area with a wide variety of services and products. Trust the propane services from The Propane People to provide your industrial, commercial or retail business with reliable and prompt delivery. The Propane People offer high-quality propane tank and gas line installation, as well as prompt, reliable propane delivery. 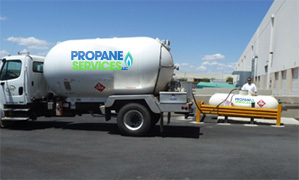 We deliver propane when you need it! Next day delivery and keep-full service available. Propane is the logical choice for heating, supplying hot water, cooking and fireplaces. It burns efficiently and releases low emissions. The Propane People is a family owned business that has been serving home and business owners throughout the Phoenix metropolitan area for almost 3 decades with reliable delivery services and professional tank and gas line installations. 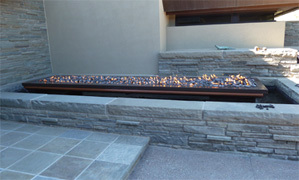 Propane has a wide variety of creative applications. Dramatic fire features, heating pool and spa water, as well as provide heating and hot water for your home or business are perfect tasks for propane. The Propane People are specialists at designing and installing propane devices, tanks, and gas lines that are safe and will provide you and your family countless hours of enjoyment. 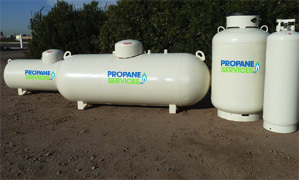 Plus, we offer professional propane delivery services to both residential and commercial customers throughout the Phoenix metropolitan area. Call us today to learn how propane can improve the quality of your life! 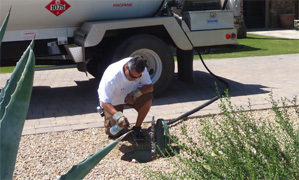 To learn more about our propane delivery and installation services, please call (623) 643-0190 or send us an email. Our courteous team of experts will gladly answer any questions that you may have.